Fort Worth TX – The Fort Worth Dryer Vent Cleaning Wizard says that indoor dryer vents should not be used. Inferior dryer vent systems including indoor dryer vents can allow excess heat and moisture into homes, leading to mold and mildew problems. 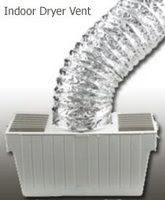 Though indoor dryer vent systems are available, they are not adequate. Dryer Vent Wizard technicians recommend all dryers to be vented outdoors. One problem with the indoor dryer vent systems is that they must be kept full of water to trap lint while the warm air filters into the room. They also have a duct made of flexible foil which can be accidently crushed, blocking air flow from the dryer and causing it to over heat. Like all fuel-burning appliances, gas dryers must be properly vented to the outdoors to emit gas byproducts like carbon monoxide. Charles Espinosa, owner of Dryer Vent Wizard, urges area residents to vent all clothes dryers to the outdoors to prevent a number of dryer related hazards. This can be difficult for some homeowners, especially if they need to cut through cement block to slide the dryer duct through, but it is well worth the time and effort. Rerouting dryer vents, installing new dryer vents and cleaning dryer vents is routine work for a qualified dryer vent service expert. Dryer Vent Wizard specializes in dryer exhaust issues and their service technicians have the knowledge and equipment required to install safe and efficient dryer vent systems. 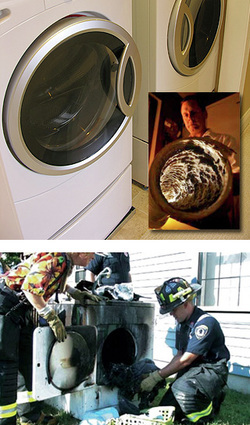 Professional dryer vent installation ensures clothes dryers are fire-safe and energy-efficient. The cost of professional dryer vent installation is little compared to the damage done to homes by excess heat and moisture. 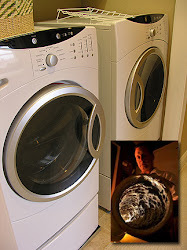 Dryer Vent Wizard provides commercial and residential dryer vent service in homes and apartment buildings, condos and duplexes; and in businesses including public laundries, pet shelters, hair salons and anyone with a clothes dryer. Charles Espinosa serves the Central Dallas and Fort Worth area, Richardson, Garland, Irving and surrounding cities and communities. Visit http://ftworthtx.dryerventcleaningnow.com/ to learn more.